Great selection but this place is pricey and the owners can be pretty cocky. In a decent neighborhood, felt pretty safe on a Sunday afternoon. It has a small parking area up front with tight turnaround to get back on to the main road. The store itself looks a little dated from the outside, though mostly clean. On the inside, it has the same "just a bit dated" feel, though clean. Right in front, there's a row of the standard 12 and 24 pack fare - BMC, Pabst, Hamm's, Genesee and the like. (But no Old Milwaukee!?!? Does ANYONE sell it anymore??? Can't give the place a 5 without Old Mil.) Walking back and to the left and WOW! there is a very large singles selection of local craft beers, mostly canned selections, from head to floor on two separate shelving units. There's another lengthy stack of craft cases stacked on the floor alongside the shelving units. If its local to Ohio, you can probably find it here. I rarely remember to check the dating on my purchases, but the couple I've had so far were fresh. Some of the coolers looked like older stock - particularly a case of BL that looked like the cardboard had stuck to the ground and peeled off some of the label. As for the service, I wasn't approached other than saying "hi" on the way in - and I like that. The checkout person was very friendly. I bought 14 cans (plus 2 sodas for the wife and kid) for $45, so pricing is about what you'd expect in the area. Traveling through the area and a server at a local restaurant recommended this place. Quite the selection. Good selection of bombers and tons of sixers. At the time they had a bunch of three floyds in stock. Ended up with a good haul. I don't know if it was the owner or manager but he made sure I found everything I was looking for even though they were busy at the time. Overall good selection and friendly service. Definitely worth a stop. The craft beer selection is the best I've found in the area; especially the seasonal varieties, which to create your own six-pack is an entire shelf. The staff is very helpful if you need it, but just browsing the isles of this place is a lot of fun! The place is stuffed with awesome beer. They had a rare IPA I'd been all over town trying to find. When I get to the register, they pull out some zombie dust outta nowhere and blast my world away. Very friendly on the phone and pleasant workers that know their inventory. I'll be back! They are always accommodating and willing to answer questions. very knowledgeable. really know how to take care of folks that know beer and those that don't. For what is available in Ohio, Simone's always has them well represented. If you get there on time, you should be able to get them. This is a very solid bottle shop with a great suggestion however I choose to shop at the other stores in the area as Simone's marks up bottles $1 higher than other shops. For example any Jackie O's barrel aged beer will cost $13.99 while everyone else sells them for $12.99. Other than that no negatives to speak of. Staff is friendly and selection is as good as it gets. Best selection on the westside of Cleveland, hands down the best around. The selection is next to none within the general area. Even in the rare event they didn't have what I was looking for, by the next time I came back, it was usually in stock. 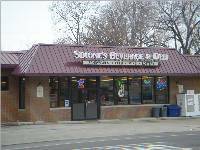 If you're looking for that select brew, or want a place that offers a wider variety of craft beers, look no further than Simone's. Somehow I found my way into this place on a Saturday night only looking to use an ATM. As soon as I entered I could tell that their beer selection was vast. Though I didn't end up buying any beer that night, I have since made this place my sole craft beer buying locale. So far I haven't been to a store in the Cleveland area with a better selection. The service is great; I believe who I talked to was the owner, I could tell he was very knowledgeable about beer as well as everything that he had in stock. Probably the only negative for me is that though they do offer a build your own six-pack option, their single bottles are pretty limited, especially cold beer out of the freezer.